Single Dad Brad: Good Intentions! Yesterday was Earth Day and my daughter came home from school with a cabbage plant. She eagerly went out in the backyard and planted her cabbage. It was inspiring to see a child who turns her nose up at the slightest sign of vegetables get so excited about a cabbage plant. But Emma was not done celebrating Earth Day! She decided she would venture out into the neighborhood and pick up trash. I was very supportive of this idea, so I gave her a trash bag and sent her on her way. She invited some friends to join her and started picking up trash. I few minutes passed and I decided to check up on her progress. When I got outside I noticed that she and her friends were curiously looking at something on the ground. I asked Emma what they were looking at and she announced that they had found a dragon fly. Emma was flapping her arms and telling everyone that she was communicating with the dragon fly. The dragon fly would take off and Emma would follow it flapping her arms and telling everybody that the dragon fly was copying her. And her little friends were happy to play along and let Emma believe that she was communicating with the dragon fly. I went back inside and about a half hour later Emma came back in the house. I noticed that she was not carrying the bag of trash, so I looked out the window and there it was lying on the ground. I said "Emma...what about picking up trash?" Emma said "Oh yeah...I forgot!" and then she turned to go downstairs and watch T.V. I said "Emma...you can't just leave that bag of trash out there! Go pick it up please." So she went out and got the trash bag leaving it on the counter. I looked in the bag and there was one piece of trash. 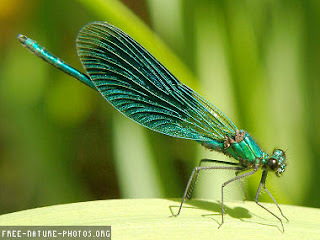 But I guess playing with a dragon fly is also a good way to celebrate Earth Day!